How Do You Solve a Radical Equation? 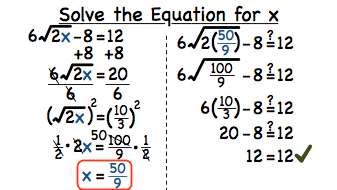 Want some practice solving radical equations? Check out this tutorial! You'll see the steps you need to take in order to solve a radical equation and check your answer!